The old culture of Ireland had immense respect for the Sí: the fairy people. These days, that culture is often ridiculed, which ignores the wisdom that this encapsulated. By showing respect to the Sí, those magical people of the earth, we showed respect to nature around us. It made us mindful of leaving tracks behind us. It gave a social responsibility for acting in the interest of the environment around you. We visited gardens out the Béara peninsula in County Kerry, Ireland. 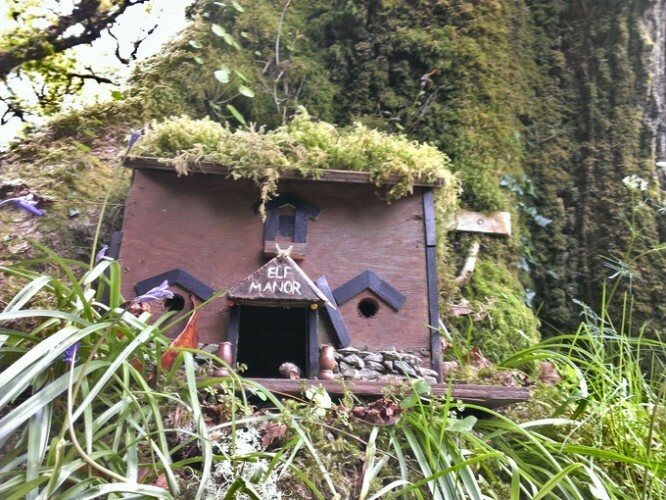 This house is said to be inhabited by little people. Tá doras na sióg draíochtúil. The fairy door is magical. If you want to connect with your Irish heritage in a real way, take a free trial of Bitesize Irish membership. The Irish language (Irish Gaelic) is a very personal way of reconnecting with your past, and of finding a sense of belonging.